Mouth of Wonder: King Arthur Flour presents the one and only Susan Purdy! 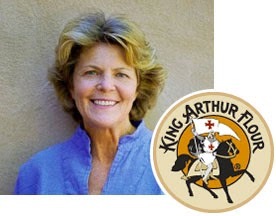 King Arthur Flour presents the one and only Susan Purdy! Join our pal Susan G. Purdy, prize-winning cookbook author, culinary journalist, and CSCA seminar teacher, for a three-day interactive adventure through the world of food writing and publishing. Explore all types of writing from recipes to reviews, memoirs to magazines, including cookbooks, websites and blogs. You’ll have the opportunity to explore the fine points of creating, analyzing, and selling your words. There will be long and short exercise assignments in class and time for consultation with Purdy. Limited seats available, click here for the course calendar, and to sign up! For anyone who has ever taken a class with Susan in Santa Fe, you know what a great opportunity this is!